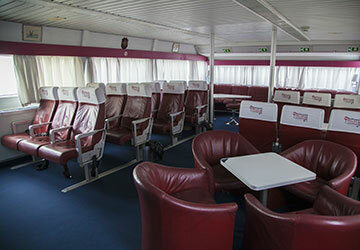 San Frangisk combines the most advanced characteristics of catamarans and hovercrafts and offers a much higher passenger comfort than your standard ferry. 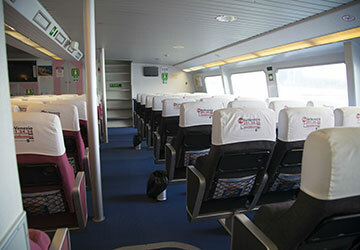 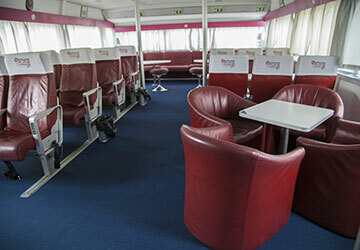 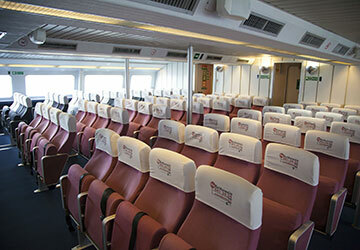 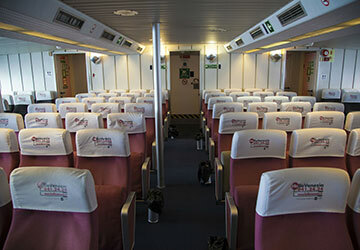 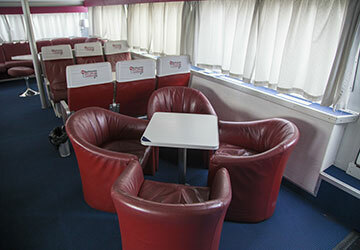 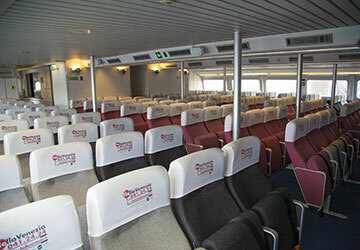 This vessel can hold 310 passengers in its standard class seating area and 30 in VIP class. 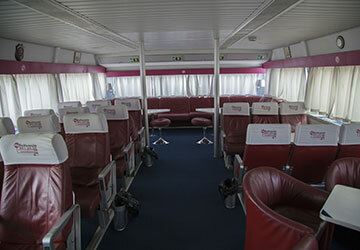 Please Note: Whilst we have taken great care in making our San Frangisk guide as accurate as possible, onboard facilities, services and entertainment may vary depending on the date and time of year that you travel, facilities mentioned may change without notification and ferry companies reserve the right to operate vessels other than those mentioned at time of booking without prior notification. 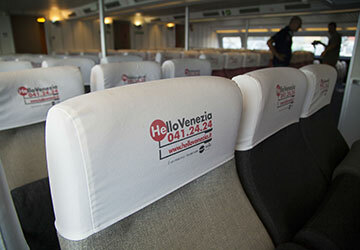 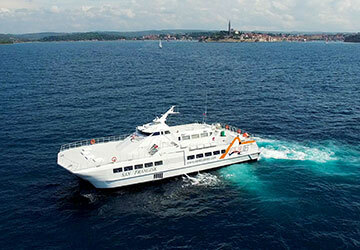 good choice to travel from Venezia to Porec, really comfortable and fast.